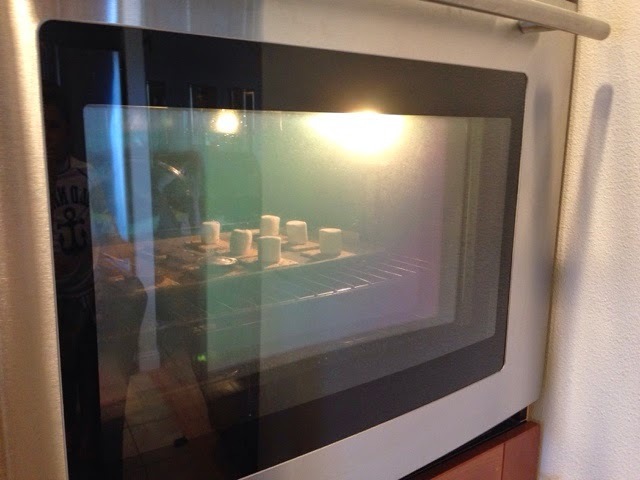 Growin' A Home - On Road 18: Smores in the oven! 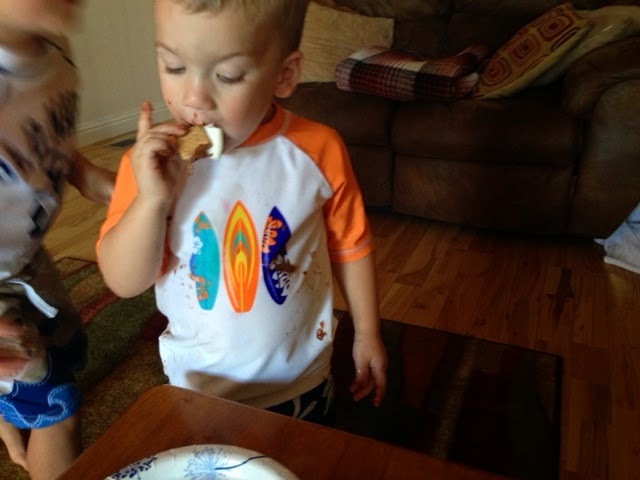 9It's that time of year when s'mores are in season. 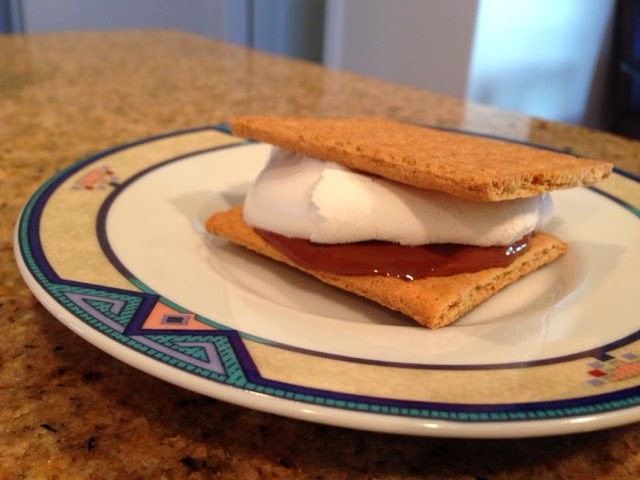 We have yet to go camping this summer (trip is forthcoming though) and I have been craving s'mores. It does not help that each grocery store I frequent has an end cap dedicated to graham crackers, Hershey bars and marshmallows. Well today the marketing executives won - I crumbled under the peer pressure I felt from the $1 coupon being offered for purchasing all three items. But I have no campfire? That's okay. 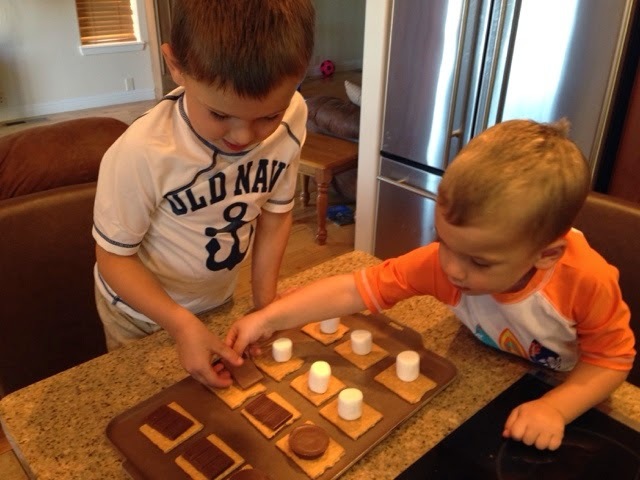 We made these s'mores in the oven! Let it be known I am not being compensated by any of the brands represented in the picture. That being said, I highly recommend you go with name brand ingredients for this simple and fun treat. Nobody does marshmallows like Kraft and Nabisco has the market cornered on the crackers too. And the Hershey bar and Reese's peanut butter cups - there is no substitute. Of course they are your treats to make but you can't say I didn't warn you. Heat the oven to 400 degrees Fahrenheit. Grab a cookie sheet and alert the kids. They can help with this one. Have the kids place 12 cracker halves on the cookie sheet. 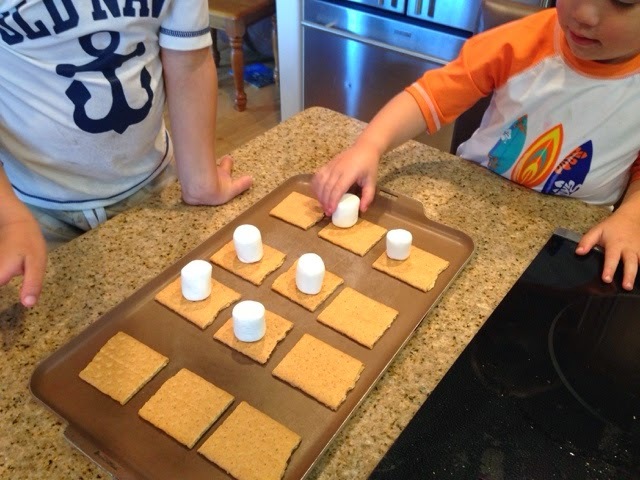 Next place six marshmallows on six of the crackers. Unwrap the candy bar and the peanut butter cups. Stop, have you never had a peanut butter cup s'more? You my friends are about to have a life changing food moment. 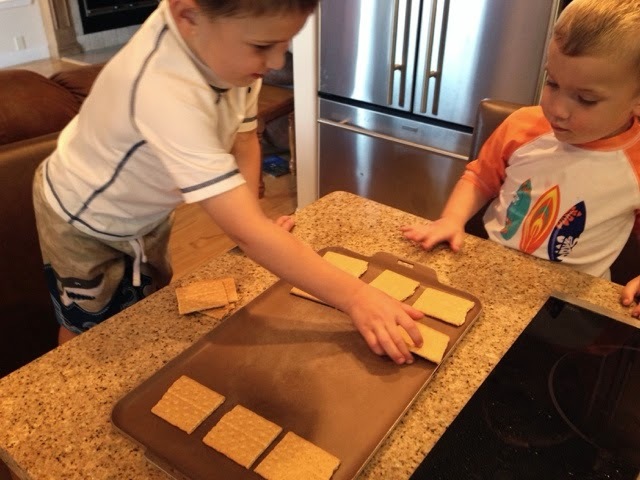 Break the Hershey bar into four pieces and have the kids place on four of the remaining crackers. Remove the paper from the Reese's peanut butter cups and place on the remaining two crackers. Place in the preheated 400 degree oven for 4-5 minutes. Watch them. Do not leave the kitchen. Besides its only 4-5 minutes. 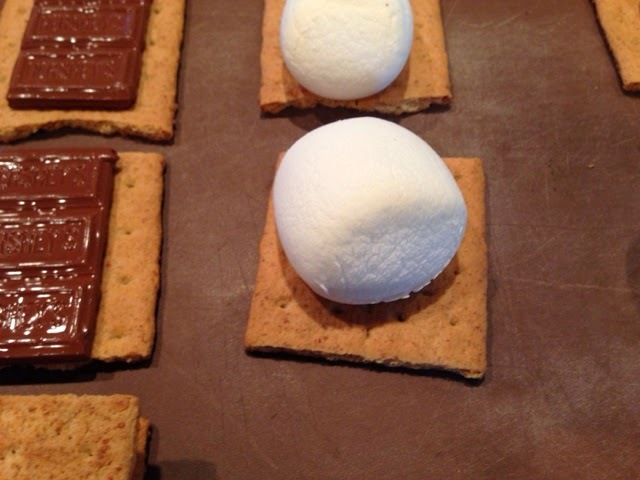 The marshmallows will get puffy and the chocolate will be shiny and soft. Since these are hot, an adult should handle the assembly. 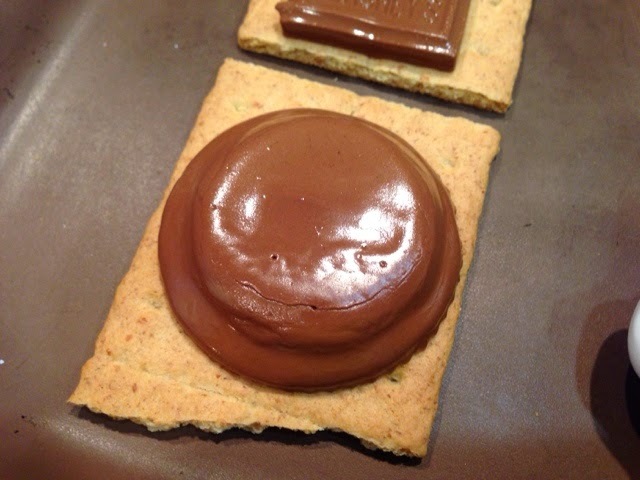 Flip the marshmallow and cracker over onto a chocolate covered cracker and press lightly. Pour a glass of milk and serve. If you are like me, you will give the chocolate only ones to the kids and save the peanut butter cup ones for you and the spouse! 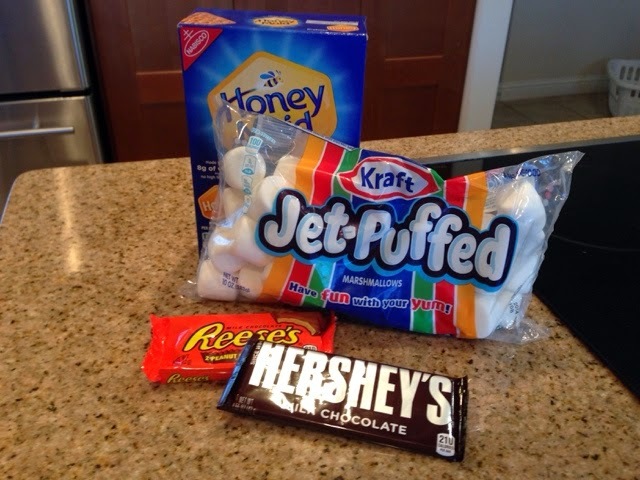 And there you have it, s'mores without having to light a campfire. 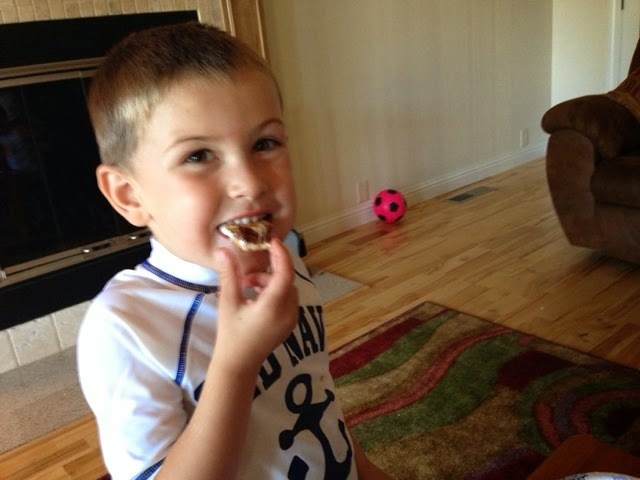 This recipe was approved by my kids and my husband as evidenced by the chocolate smiles.